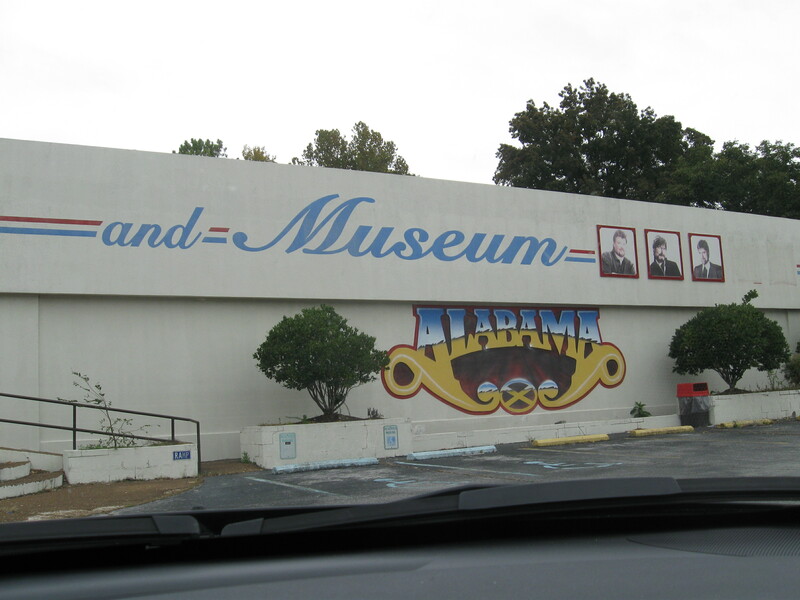 FORT PAYNE, AL (WAFF) - With the snip of a ribbon, the boys from Fort Payne celebrated the grand reopening of their renovated museum Wednesday evening at the Alabama Fan Club and Museum in Fort Payne just in time for their annual fan appreciation weekend. This is the first major renovation since it opened in 1985. And fans now have the chance to see more memorabilia than ever. Lead singer Randy Owen is proud of what they've brought in. "I actually found all the number one songs that I wrote. Actually, the real handwritten copies of them. And they'll be copies of those put in here from time to time. This museum will be changed out from time to time because there's just so much," said Owen. Cousins and fellow members of the band, Teddy Gentry and Jeff Cook say they enjoyed working on the renovation together. "Wonderful experience to get to relive some of the moments over the years. I'm sure like Jeff, we pulled out stuff we hadn't seen in years. And it's been fun to go through and pick out some of our favorite stuff. And some of our favorite moments in time. And put them here in the museum. And hopefully they'll be here for a long time," said Gentry. "Like Teddy, I saw some stuff I hadn't seen in a while and I think it will be an opportunity to share it with a lot of our fans, said Cook." Owen says they are still humbled by all of the support from their fans and hopes the museum will be enjoyed for generations to come. "When we do our concerts now, there's a lot of people that are in the audience that I know wasn't born when we were singing in the '80s. So it's really been something that you just stand back and just really appreciate and thank God for," said Owen.